U634VC3CTWSNThe beginning of the FY 2011-2012 has shown various colors of the Cloud. Following the previous week’s big discussion around standardization, today WOLF brings to you the regulations in the cloud and how cloud can be encrypted for users to trust it. Volume-based technologies – Data is scrambled at the mounted storage volume layer. File-based technologies – Encrypting data at the point of access, enforcing encryption and enabling access control and key management policies at the server, process and usage layers. Cloud Computing has become an IT force that cannot be stopped, even if there is a major change in the government. 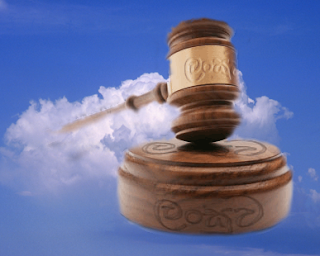 The cloud is here to stay and will be supported by the government, more or less. School-as-a-Service is an emerging vision for education. Today you can open your browser and you will have multiple learning options, multiple providers, and multiple devices and customized engaging learning anywhere anytime. Control freak who were used to having control over the applications they used now suffer a challenge with cloud based services they use. Even though Private Clouds provide some sort of control, Public cloud is leveraging best-of-breed reliability, scalability, and operations infrastructure that you could not afford to replicate. Thus there has to be a tradeoff for that full self-sufficiency and control and the cost of running your own cloud. There has been major development in the Cloud and it is ever evolving. Stay tuned for more sum-ups on Cloud Computing in the forthcoming weeks.